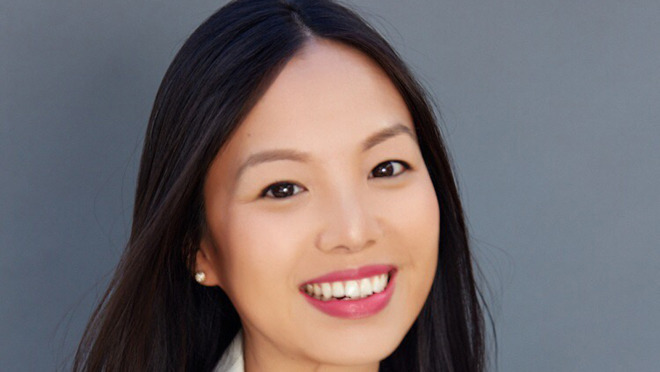 A years-long veteran of the TV industry, Michelle Lee, has reportedly joined Apple has a creative executive with its Worldwide Video division, which is spearheading a push into high-budget TV shows. Lee will serve under Matt Cherniss, the development head Apple hired in August, Variety said on Wednesday. For five years Lee has been a partner with True Jack Productions showrunner Jason Katims, giving her executive producer credits on shows like "About a Boy" on NBC and "The Path" on Hulu. Her new position could give her signifcant influence over Apple programming. Even Cherniss, though, ranks below former Sony Pictures Television presidents Zack Van Amburg and Jamie Erlicht, who have ultimate control of Worldwide Video short of top-level executives like CEO Tim Cook. Apple is expected to premiere a small collection of shows in 2019 that will break out of the low-budget reality TV mold established by "Carpool Karaoke" and "Planet of the Apps." The new programming should also be available to most people with an Apple device, possibly through the iOS/tvOS TV app, rather than limited to Apple Music subscribers. The company is said to be rejecting any risque content, even from well-known creators, meaning that viewers won't see an equivalent of "Dexter" or "Game of Thrones." Two shows that are in the company's stable include a reboot of Steven Spielberg's "Amazing Stories" and a morning show drama starring Jennifer Aniston and Reese Witherspoon.